Effective veterinary practice leaders stay up-to-date with evolving human resources issues, including millennials, mentorship and the employee handbook. The changing landscape of veterinary practice has led to the emergence of certain human resources trends that practices did not have to deal with yesterday — and cannot ignore today. Practitioners, hospital managers and practice owners need to stay updated on these trends in order to reduce absenteeism and turnover, improve productivity and increase practice profitability. Here’s what you need to know. As more and more millennials enter the veterinary field, it’s important for practice owners and managers to understand the perspectives and needs of this generation. Rather than considering what they can bring to the workplace, many millennials want to know what the workplace can do for them. Successful recruitment and retention of millennials, therefore, is dependent on meeting their need for workplace engagement. This group wants to find meaning in their jobs. So, get them involved with the practice, communicate openly, be flexible, offer ample training opportunities and provide access to the latest technology. As a manager, it’s important to identify and break through the underlying assumptions and barriers about millennials and to note the benefits of having millennials in the workplace, advises Tracy Dowdy, CVPM, a practice management consultant based in San Diego, California. 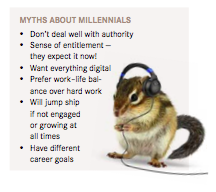 (See Myths About Millennials.) The average millennial receives more than 181 texts per day and consumes nine hours of data in only 6.5 hours. “When millennials are engaged in their job and empowered to bring new ideas to the practice, they can process information faster, multi-task and bring innovative ways to get the job done quicker and easier than previously,” Dowdy said. Of course, compensation and benefits remain a priority as well. Millennial employees report that certain benefits would increase loyalty, including defined opportunities for career development and having an assigned mentor. Now a buzzword in many industries, mentorship programs have become much more involved than ever before. While mentorship once meant older employees training younger ones, today the focus has shifted to encompass not only training, but guidance and leadership as well. It’s easy for employees to feel out of the loop, left behind or just not fully integrated with the practice. Mentorship programs can help engage disengaged employees by connecting them more deeply with others in the practice, which may encourage them to stay with the practice if they were having second thoughts. Some practices are trying to increase stability among their workforce by “phasing out retirement.” Rather than an experienced older employee leaving outright, practices are instead designating a period of reduced workload or part-time employment. These retiring Baby Boomers may be open to mentorship or the creation of standard operating procedures to help ease transitions.  Individuals who leave a facility then return later (“boomerangs”) are becoming increasingly common as well, with a jump in the past two years, but it is important to provide consistency with mentorship throughout. Your veterinary practice should already have an employee handbook in place, but it’s important to make sure the handbook is updated — and reviewed by a lawyer — every two years. The veterinary industry is ever-changing, and numerous new laws and legislative measures may directly impact your practice and your employees. To protect your organization and all those invested in it, the handbook needs to be current regarding any practice policies. Transparency is vital as well; all policies must be stated clearly in the handbook. 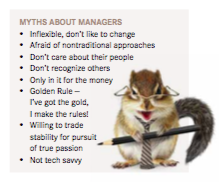 Human resources is one of the most challenging aspects of practice management. According to research from the Carnegie Institute of Technology, about 85 percent of financial success is due to skills in “human engineering” — your personality and ability to communicate, negotiate and lead. Only 15 percent of success is attributable to technical knowledge. “That’s why it’s so important to create alignment around shared goals and priorities for employee engagement as well as authentic, caring relationships with team members, “said Dowdy.